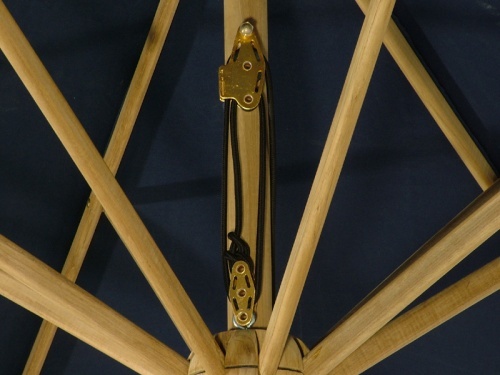 The Westminster teak wood market umbrellas are constructed from a stout 1.95 inch diameter teak umbrella pole for unmatched strength and durability. 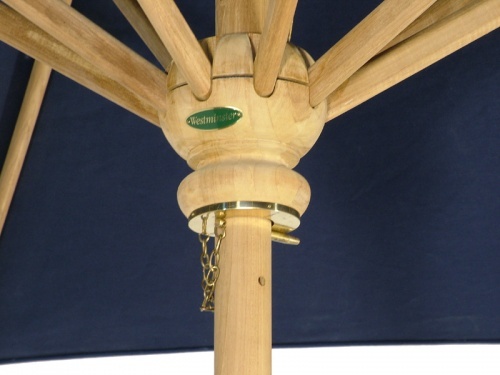 These teak wood market umbrellas compliment all of our tables. 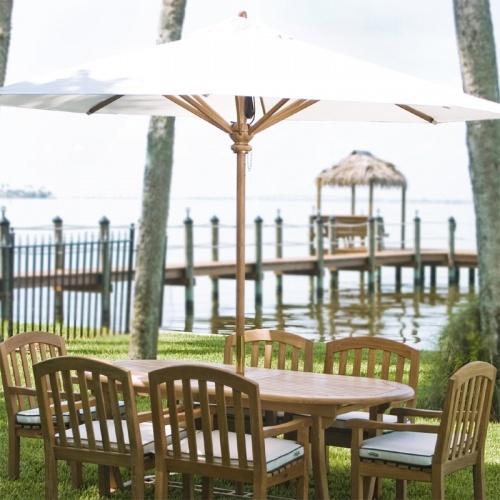 The premium Sunbrella fabrics are offered in several instock colors, that will ship with the teak wood market umbrella or additional colors are available and will be shipped separately upon manufacture. 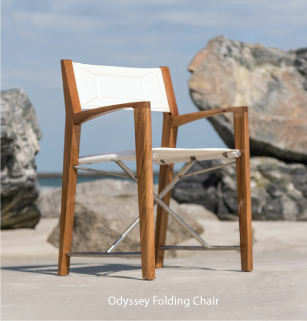 Choose your colors below. 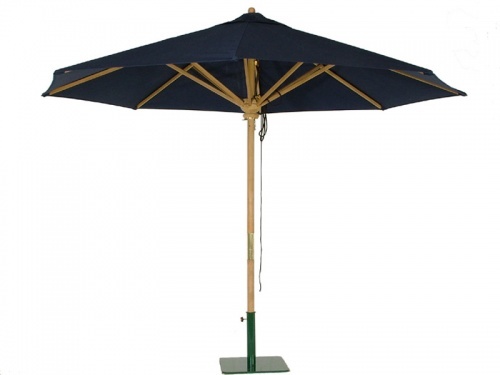 NOTE: Depending on the table selected a parasol base may or may not be necessary.